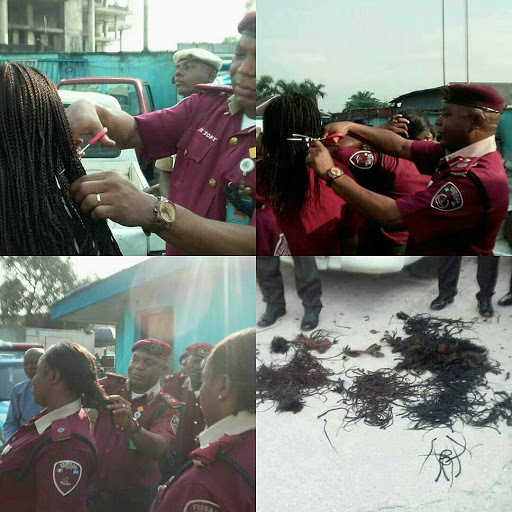 The Federal Road Safety Commission’s Corps Marshal, Boboye Oyeyemi, has ordered the recall of the Rivers State Sector Commander and other officers concerned in the raving issue of cutting of some female officers’ hair. The female officers were allegedly carrying long hair in the Rivers State Sector Command, Portharcourt. Speaking this morning, the Head Media Relations and Strategy of the Corps, Mr. Bisi Kazeem, this became necessary in order to properly investigate the matter. Boboye had condemned the photographs trending on the social media concerning the cutting-off of the hair of the female FRSC officials. The incident reportedly happened during the early morning parade when Kumapayi went round to inspect his officers.